Rosso Asiago or Red Asiago is the most important marble extracted from the quarries of the Asiago mountains, in the North of Italy. It is an historic marble characterised by the deep red colour and the thick veins. On the Asiago mountains there are several quarries which have a good production of blocks. Various qualities of Rosso Asiago are identified depending on the location of the quarry and on the quarried layer among which there are Rosso Asiago Broccato, Rosso Asiago Fiorito and Rosso Asiago Magnaboschi. Rosso Asiago cross cut comes from the cut of blocks perpendicularly to the sense of the vein. This kind of cut is rather unfrequent because of the modest height of most of the blocks. 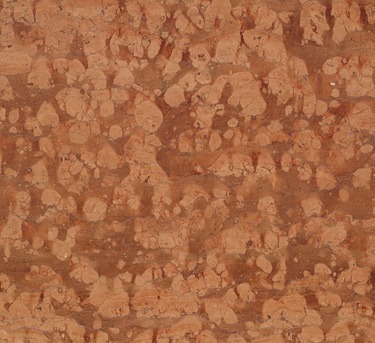 The slabs have a good color consistency and tones which vary between red and brown. Red Asiago is e very strong marble, suitable for indoor and outdoor applications for floorings, claddings, tiles, countertops, ventilate facades,..